I have quite the treat for you today. 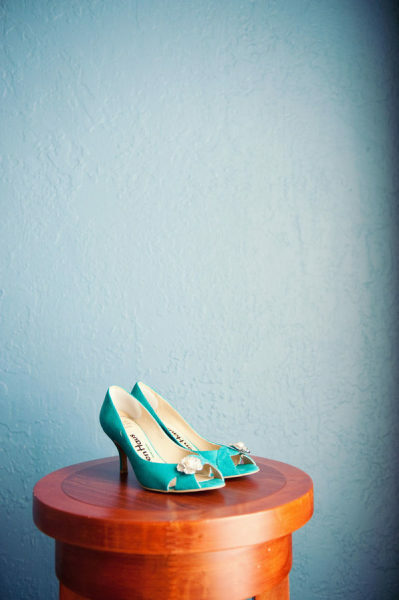 Remember our oh-so-fabulous bride blogger Kalista? 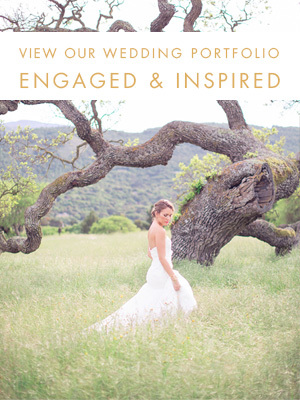 She was filled with so many ideas and had quite the vision for her wedding. Today we are here to share everything that came from her oh-so-special day and I promise they don't disappoint. Kalista chose the most perfect Jenny Packham dress with a Sarah Seven hair piece. She DIYed so many beautiful things to make their special day unique. Get those Pin buttons ready because you're going to want to save tons of these ideas! Well, over a year after I started blogging my eco-friendly wedding planning journey here in E&I, I am finally a Mrs. And it feels awesome!!! Our wedding day was the best day of our lives. We worked our butts off the week leading up to the wedding, crafting, running errands, and [trying to] make time for friends who were in town. We barely got any sleep that week and it was stressful beyond belief, but as soon as I saw Kyle on our wedding day, all of the stress over details melted away in a flood. As a perfectionist - and any other perfectionist can relate - I never say that word. Kyle and I went back to our beautiful hotel room that night, and we fell on the couch with grins from ear to ear and both said "It was perfect." Everyone tells you that "things will go wrong, and it's okay." But honestly, nothing went wrong. A couple of things may not have gone exactly the way I dreamed it up in my head, but certainly nothing went wrong. It still holds true for both of us that this was indeed the best day of our lives. The time and energy that we put into every single detail paid off, and people noticed. Although we went over budget, the wedding would not have been what it was without those extra expenses. In the end, it was all worth it. Here's a photo our dear friend Dan took of me and Kyle at our rehearsal dinner at the end of the night, when we were about to say goodbye. We were so excited to finally marry each other, we couldn't let go. I'll post wedding photos as soon as I can, and I've got another blog coming about the things they don't tell you about married life (what little bits I know of it, anyway). Thank you all for your support over the last year and for your help making decisions with me to put together the wedding of our dreams!! I can't believe it's finally here. In 2 days, I will be marrying the man of my dreams and my best friend. It's hard to believe that after only 21 years of my life, I was fortunate enough to meet this incredible person. The last 6 years with Kyle have flown by, and I know the next 80 will go by in the blip of a second. This week has been so overwhelmed by to-do lists, errands, and craft project that it's admittedly been difficult to take a few minutes to step back and relish in this incredible moment. I am grateful for these few minutes to reflect on what the past 27 years have meant, and the significance of those 30 minutes this Saturday where Kyle and I will pledge our love and fidelity to each other for eternity. Here's a confession... I've never told anyone. A friend took this photo back when I was 19 and I've stared at it ever since dreaming of my wedding day. Yes, I was wearing a tarp. And now it's here. I can't wait to finally have my man and my moment. And a wedding dress that isn't a tarp. We are just 9 days away from the wedding and there is so much going on right now it's unbelievable. But let's just take a minute to focus on something fun, not stressful (like our rehearsal dinner caterer canceling on us 10 days before the event!!) Tomorrow I'll be heading up to Healdsburg to spend the weekend with 7 amazing women. Drinking wine, eating great food, relaxing by the fireplace. They each mean so much to me and have supported me through different periods in my life. I am so excited to get away with them for my bachelorette weekend! We rented a house in the Alexander Valley, just a few minutes outside of downtown Healdsburg. We're surrounded by wineries, so we'll spend our Saturday walking to a few wineries and tasting all that the Alexander Valley has to offer. We'll cook together and laugh together, and most importantly I'll have a chance to reflect on what's coming in the week ahead and refocus, now that I'm done doing the balancing act between work and wedding. I love these girls and am inspired in unique and beautiful ways by each of them. I hope that this weekend will honor every one of them, and kick off my wedding week with a bang! Is there anything particularly awesome that we must make sure to do this bachelorette weekend? Only one more post to go. Eek! First an update on my frustrated and frantic blog post from a while back about where in the hell to try on headpieces. After hours of online research, I visited the Sarah Seven shop in San Francisco last week to try on their headpieces. And guess who I ran into? No one other than the fabulous Allison Silber! She was an enormous help, giving me advice on which headpiece looked best with my dress and how in the world you're supposed to wear a bridal cap. Also, kindly pointing out when something was a belt, and not a headband :) I am very happy and relieved to have found a beautiful headband by Sarah Seven, which looks fabulous with my dress. I can't wait to show you guys in a few weeks! Alright, now onto my issue of the week: Gifts for parents. I know not everyone gets a gift for their mother or father, but in my case, they have been kind enough to significantly help pay for the wedding. I feel like the least I can do is give them a meaningful gift to thank them for their support. Unfortunately, when you type "mother of the bride gift" into google, you have to sift through lots of lots of photos of frames and handkerchiefs. Those just aren't my mom's style. So here are some other ideas I came up with that might be nice for moms! Dogeared makes so many different necklaces that come with a variety of sweet sentiments. This one is my favorite. A promise to write letters to each other for years to come. I love this locket because you can see whatever you put in it. 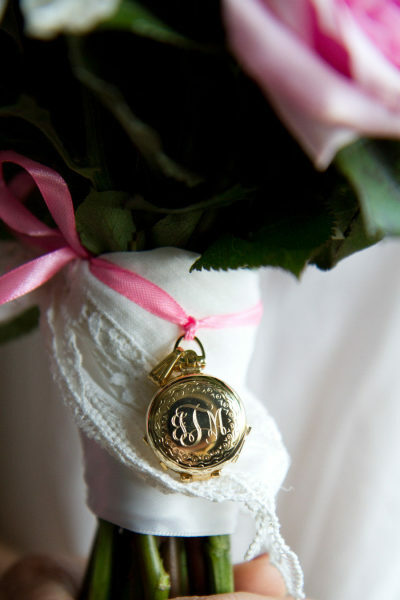 Whether that is a photo or a dried flower, mom can show it off in a modern and sophisticated locket. I also had the same trouble with looking for gifts for my dad! 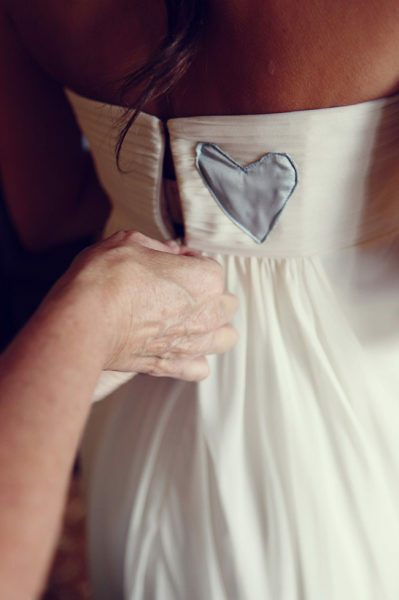 There are a million little trinkets that say things like "Today a bride, forever your little girl." My dad and I don't have that type of relationship, so I had to get creative when it came to what I wanted to give my father. Here is a traditional, but classy set of cufflinks that would be fun to give him on the big day! I also love the idea of getting him cufflinks that bring back good memories of a tradition you may have had. For example, Kyle and his father used to sail together. Or if dad is a musician, this personalized guitar pick, customized to whatever you want it to say, is really sweet. What did you give your parents on your wedding day? Was it something personal that only you two would understand? Or was it a cute, traditional "mother of the bride" or "father of the bride" gift? My mom emailed me last week asking me if I had figured out what I was doing for my "something old, something new, something borrowed, something blue." Truthfully, I hadn't thought about this since my very initial stages of planning over a year ago when I bought a blue handkerchief while Kyle and I were in New Zealand. Out of curiosity I looked this up to see where it originated, and what it really means. And, thanks to Wikipedia, I learned a new thing or four! "Something borrowed" reminds the bride that she can depend on her friends and family. "Something blue" refers to a long tradition of blue at weddings, going all the way back to ancient Roman times when brides wore blue to symbolize love, modesty, and fidelity. I have my "something new," which is pretty much everything I'm wearing. I have my "something blue," which is that little handkerchief which I'll keep for my happy tears. But here's some traditional ideas, and some new inspiration for all of the four somethings! Did you do the four somethings at your wedding, or are you planning on doing them for your wedding day? I'd love to hear what you used, and what meaning those items held for you! I am searching for ideas and inspiration. After spending a year oohing and ahhing over all of the gorgeous invitation suites I saw on Pinterest, we reached a point where we finally had to come up with our own. And as with everything else, to my fiancé's dismay, I needed it to be DIY. Let me briefly digress by saying that every line on my exhaustive (and exhausting) budget is a chance for a little competition. Hence the overkill on DIY projects. Oh, hello budget. You think my invitations are going to cost $800? Well, think again! Anyways, after several trips to Paper Source and FedEx Kinko's, and after a couple of crying fits in front of Photoshop, we finally finished our eco-friendly DIY invitations. Et voilà! And Kyle even drew custom maps for us! I have to admit that even though I never wanted to look at another invitation in my entire life by the time we got these in the mail, I was quite eager to hear what people thought. I mean, I watercolored 199 pieces of paper and Kyle typed 106 custom RSVP cards and envelopes after all! Here is what we did in summary: I designed the invitations on Photoshop using some cool free fonts, Kyle drew the maps by hand and we scanned them in, we bought all of the paper products from Paper Source (all at least 30% recycled!) including the vintage San Francisco postcards, bought eco-friendly hemp string and antique sailboat charms from etsy, found some great 1950s sports car stamps for the postcards on ebay, bought the rest of the stamps from the regular old Post Office, had everything printed and cut at FedEx Kinko's, glued the envelope liners into the envelopes, watercolored a bunch of things, tied figure 8 knots on all of the strings to attach the sailboat charms, typed the RSVP cards and envelopes on our 1920 Underwood typewriter, drank a bunch of wine, and finally put all 53 invites together. Phew! ALL of this, all of the postage, paper, supplies, sticky tape, paint brushes, printing, etc cost $360. Well under my $800 budget. Take that budget!! So, what do you think? I'm dying to hear! Today is exactly 50 days from my wedding day. 50 DAYS. I think I'm in shock. Just 50 days ago it felt like we had a million years to get all of my little projects and concepts completed. Now every single day is just slipping through my fingers. Thankfully this past weekend we got away for a couple of days to celebrate our 6th anniversary. We ran away in the Triumph to Healdsburg for some sunning, wine tasting, and a mind-blowing vegan dinner at Cyrus. It was a bit weird to think that this was our last anniversary as boyfriend and girlfriend, fiancé and fiancée. So now what happens... do we start back over at one again? Anyways, among all the impending decisions I need to make, one of the fun ones is picking a purse! A vintage clutch would be lovely. Or a modern art deco inspired clutch would make me just as happy. So let's fantasize for just a minute about the absurdly expensive ones. Okay, now that I've drooled on the keyboard, let's look at the more affordable ones. I'm really loving the idea of using a clutch as my something blue. What do you think? Do you have any great tips for where to find a cute vintage inspired clutch? Which one is your favorite? Do you even need a clutch on your wedding day?